What Will Missouri’s New State Energy Plan Deliver? The Show Me State has something new to share: A comprehensive state energy plan, the first in roughly 20 years. The Missouri Comprehensive State Energy Plan tells you everything you’d ever want to know about energy in Missouri: its sources, which sectors use energy and how much, what it costs and how it’s delivered (including efforts to modernize delivery), its environmental impact, and what supply and demand will look like in the future. Promoting Efficiency of Use: Using energy more wisely is a first step in optimizing Missouri’s energy system. Ensuring Affordability: Providing reliable energy at prices that are fair and reasonable for consumers and businesses will support Missouri’s continued economic success. Diversifying and Promoting Security in Supply: Missouri must identify and capitalize on opportunities to maximize in-state clean energy resources and decrease dependence on imported fossil fuel energy sources. Undertaking Regulatory Improvements: Modifications to the state’s energy laws and regulations are necessary to expand opportunities, deliver enhanced benefits to residents, and guide Missouri into the energy future. Stimulating Innovation, Emerging Technologies, and Job Creation: Missouri can be an energy innovation leader through the creation of research initiatives, development of a skilled and dedicated workforce, education of the public, support of local industry, and fostering a business climate that attracts innovation and creativity. 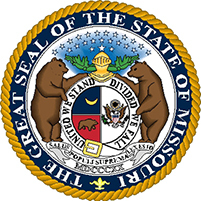 The Missouri Comprehensive State Energy Plan was a collaborative effort. Beginning in 2014, seven public meetings were held to get important input from various stakeholders. Up next, the plan and recommendations will be assessed for feasibility, cost, benefit, and timeline for implementation. Elevate Energy was part of the Inova Energy Group team that supported the development of the plan. The team brought together project managers, policy analysts, economists, engineers, and planners from Inova Energy Group and Elevate Energy. Together, we focused on providing policy recommendations and actionable strategies that simultaneously addressed energy, environmental, economic, and other issues. We don’t talk about it much, but Elevate Energy has extensive experience delivering energy and sustainability planning to cities, counties, and regional areas. The cornerstone of our efforts is always to equip communities and individuals with appropriate information, tools, and resources so they can make better decisions with lasting and sustainable results. In fact, as a result of our work to help develop the Missouri Comprehensive State Energy Plan, Elevate Energy was recently awarded an energy planning contract with Inova to help Iowa implement a state energy plan.